» Tour Duration: 420 min. 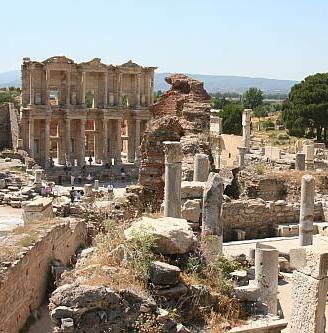 Private Ephesus Shuttle Services from Kusadasi for full day. Sharing the same minivan and guide with maximum 10 people departing from Kusadasi port. The first guest who books the shuttle decides on the pick up time. Booking minimum 2 person. English speaking guide, air-conditioned minivan with driver, pick up and drop off at the port, parking fees and lunch.